If you’re a mom or mom to be I’m sure other moms have suggested that you purchase a Rock N Play. Many will even suggest it as a place for baby to sleep in the early days or a miracle fix for newborns that aren’t sleeping. Unfortunately, it is not safe for a baby to sleep in a Rock N Play. Updated 4/12/19 with information on the recent recall. Scroll to the bottom for the information and links to return your product. Babies should be sleeping on a firm, FLAT surface, not at an incline. The surface should also be free of blankets, stuffed animals, pillows, etc. Following these guidelines from the AAP is the best way to prevent SIDS. What exactly is the danger of baby sleeping in a Rock N Play? It is not advised for babies to sleep at an incline due to the possibility of positional asphyxiation. It’s the same reason babies aren’t supposed to sleep in their car seats outside of the car, or even for long periods in the car. Positional asphyxiation occurs when a baby’s head tilts forward to it’s chin blocking off their small airway. The video below talks a bit more about this issue. Full warning, the video does include a mother talking about the loss of her infant son. The secondary danger is a baby rolling into the soft sides of a rock n play and suffocating. With the angle of the seat it’s easier for baby to roll, and the first time your baby rolls can happen at any time. What if my baby is supervised? 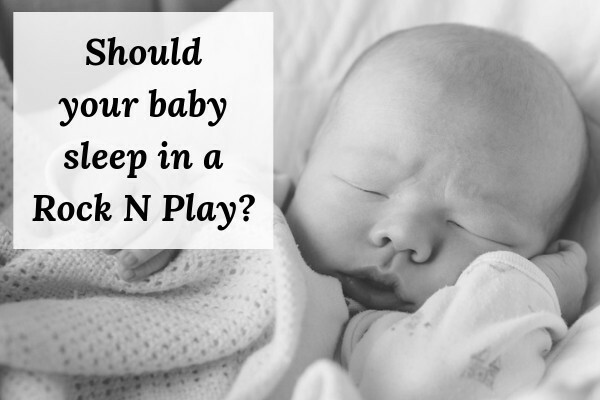 Many may suggest that while rock n plays shouldn’t be used for overnight sleep they can be used safely for naps as mom can supervise baby and see if they are in distress. The issue here is that many moms use nap time to get household tasks done or take a nap themselves and don’t watch their baby every second. Unfortunately, it doesn’t take much time for a fragile baby to become distressed. If they are sleeping there you truly have to be watching them. Have babies actually died in Rock N Plays? Unfortunately, the answer is yes. According to the Wall Street Journal “the Consumer Product Safety Commission has received reports of at least 30 deaths and more than 700 injuries since 2005” in connection with inclined sleepers. There were no details as to the severity of the injuries. These reports include this one from January 2018 where a 6 month old baby died. 30 may seem like a low number, but it may not be inclusive of all deaths as not all are reported to this agency. And for the parents of those children even one death is one too many. The Consumer Product Safety Commission and Fisher Price released a warning today to discontinue use of the Rock N Play when a child reaches 3 months of age or shows signs of starting to roll over. There have been 10 infant deaths in the Rock N Play since 2015. All 10 were over 3 months of age and “rolled from their back to their stomach or side, while unrestrained”. Safe baby products are those that have bassinet, crib, or playard in the name. Swings, sleepers, nests, hammocks, etc. do not have to meet any safety standards. If you’re look for safe alternatives for sleep try a Pack N Play, bassinet, or crib. While baby is awake you may try a bouncy seat, boppy lounger, or even an activity mat or blanket on the floor are great places for baby to hang out. Being able to move freely is actually great for their development. It’s recommended that you move them if they fall asleep in a bouncy seat or on a boppy lounge pillow. This section was written before the recall. The AAP has clearly ruled that there is too much of a danger to leave these products on the market and you use them at your own risk. The information below is not medical advice and may be outdated considering the recent recall. Rock n Plays can be a great tool for while baby is awake! As a busy mom you have to put baby down to do other tasks and many babies find a rock n play or other swing or bouncy seat to be a comfortable place to hang out. Personally, I don’t spend the money on a full Rock N Play or swing. I prefer a simple bouncy seat. They are lightweight making them easy to move around your home. They also are much less expensive than a Rock N Play or swing. Discontinue use if baby reaches the Rock n Play weight limit of 25lbs (check your products manual for the exact weight as it could vary). While a baby may sleep better in a Rock N Play at first you are only delaying the inevitable. For most babies transitioning from a Rock N Play to a crib or playard will not be easier just because baby is older. Be prepared for a return to sleepless nights for a bit. Another commonly recommended product that isn’t quite safe is the Dock A Tot. Check out my safety review of the DockATot. For some babies with very severe reflux an inclined sleeper may be helpful. Only you and your child’s pediatrician can decide if the benefits outweigh the risks in your particular case. My daughter spit up a lot as a baby but they referred to her as a happy spitter. It didn’t seem to bother her. She slept flat and the spitting up was never a problem. The other issue to consider when deciding whether to let baby sleep in a Rock N Play, or even how much time they should spend in one is flat head syndrome. The angle and soft material can keep baby in one position and lead to a flat spot on their head if they spend too much time in one position. This can be corrected with a helmet but ideally you want to prevent this by giving baby plenty of time to freely move their head and getting in as much tummy time as you can. If you’re more science minded you can read this dry but thorough report from the AAP about positional skull deformities (flat head syndrome). Why do so many moms recommend the Rock N Play then? Life with a newborn is hard, those first 3-6 weeks can be absolutely brutal. Most moms are looking for any way to get some sleep, and when they find something that works they want to share this news with other moms. Unfortunately, most simply don’t know that there’s any risk to the Rock N Play and other inclined sleepers. Others go by the idea that they used one and their baby was fine so the product must be safe. Unfortunately, while this is true for most parents who use these devices, it’s not true for all parents. 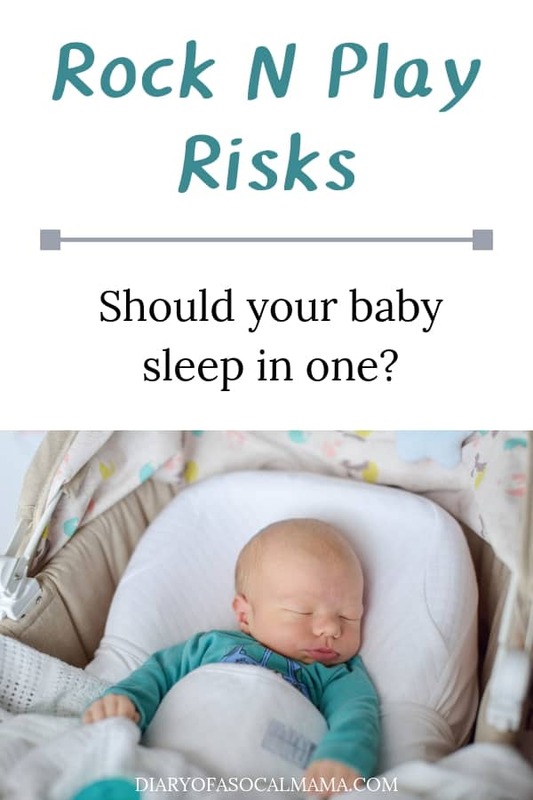 Only you can weigh the risks and benefits and make a personal choice as to whether or not to use a Rock N Play for your baby. But at least now you know the risks and how to use the device in the safest manner if you choose to use one. As of April 12, 2019, the Rock N Play Sleeper has been officially recalled. After pressure from the AAP the Consumer Product Safety Commission issued an official recall of the Rock N Play citing 30 infant deaths since the product hit the market in 2009. To return your Rock N Play for a possible refund visit the recall page on the Fisher Price website.